Some of the top May 2018 drinking ideas that have emerged leading into the summer months include beverages topped with cold brew-infused whipped creams, Millennial-targeted canned wine and unconventional smoothie and shake ingredients like cactus and hummus. In cafes and restaurants across the United States, CBD-infused tea, coffee, lattes and elixirs are becoming popular for their health benefits, which can help to negate undesirable side effects, such as the jitters that sometimes come with caffeine. While NYC's Oliver Coffee prepares its Iced Pandan Leaf Iced Chai CBD Latte with fresh ginger, MONK Drinking Botanicals is a new line of bottled elixirs featuring THC and CBD. Knowing that young adult drinkers are drawn to the aesthetics of Millennial pink beverages like Three Olives' Rosé Vodka, Firebox's whimsical Unicorn Tears Raspberry Gin Liqueur and Matcha.blue's Pink Matcha, Winc launched a 'Summer Water Societé' that provides miniature rosé bottles to members. 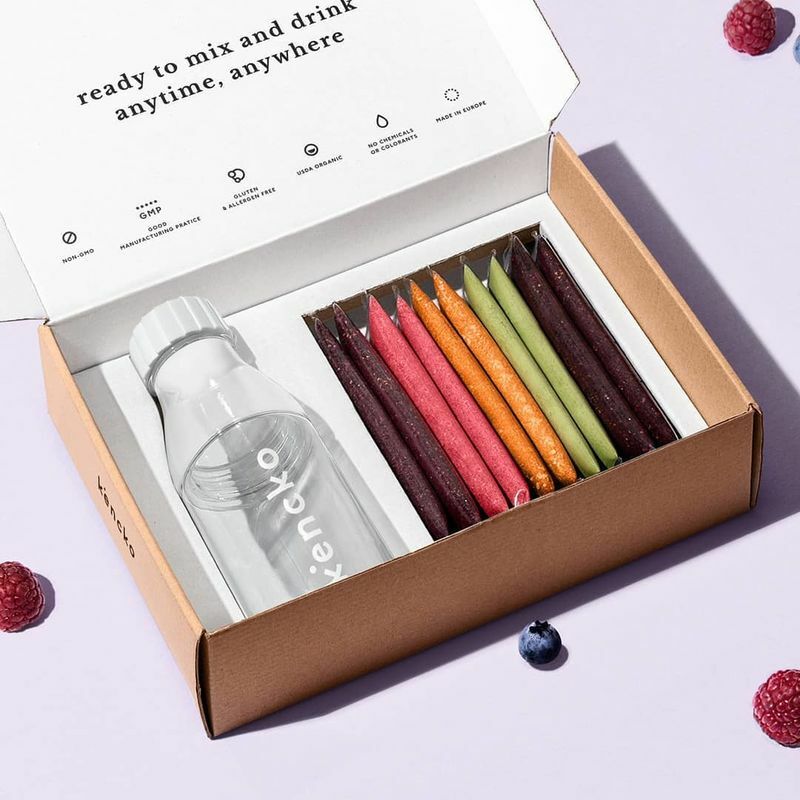 Kencko is an All-Natural "Instant Organic Fruit and Veg Drink"